Get your children ready for Singularity University’s first free Global Summit in San Francisco, WhizGirls Academy Special Agents where participants will complete a mission of designing and creating a wire frame for a webpage! This mission can transform kids into confident, empowered out of the box thinkers while building practical knowledge about computer coding, critical thinking, and the chance to mingle with kids who can become tomorrow’s technology leaders. 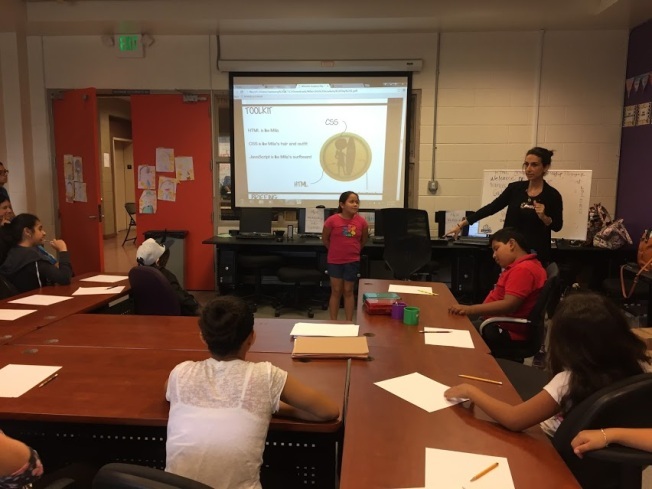 Students learn best when they feel connected to lessons that require active participation, at WhizGirls Academy hands-on encouragement allows students to approach STEM projects in fresh new perspectives to solve problems. Sign up today! The workshop takes place Sunday, Aug 28th from 1-3pm and from 4-6pm. Space is limited, 50 kids in each workshop. Ages 8 - 13 years old.